Trust, Society and Non profit Company. क्या सरकारी कर्मचारी या अधिकारी एनजीओ के सदस्य फाउन्डर हो सकते है? > How to Register Trust : How to Register NGO Under Indian Trust Act. For NGO Registration you can Contact for NGO Consultancy Service at > NGO Registration. To know more about difference and similarity among NGO (Non Government Organisation) / NPO (Non Profit Organisation) / Trust / Society / Non Profit Company and other registration process you can contact us. If you want to know the difference between Non Profit Company, Society and Trust you can check here and contact us. If you want to register and recognise State level or National level NGO or International Organisation and want more process of registration and after registration you can discuss with us. We provide support in registration of NGO and after registration support in setup, manage, run, work and get funding, donation and help for NGOs. You can discuss and contact with us regarding NGO registration from recognised Government Authorities and Registrars. NGO registration is a initial stage to work and move towards Social Service Sector. After registration of NGO how to keep its status in active condition and how to achieve the targets to complete the Objects for which NGOs are formed, it is main issue many of the persons and groups want to know about. We support real social kind of persons and social groups to setup, run and manage NGO. We do not support the persons who want to form NGO for profit making purpose. 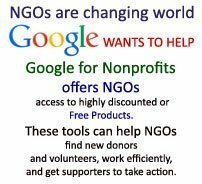 NGO is a non profit making organisation and it can be run by the resources and efforts of the members and/or support of the persons, groups, agencies who want to provide and who use to fund and support for needy organisations for social purpose. If some one is thinking that just after registering an NGO he/she or they can get funds then we want to make it clear that it is not easy to get funds. To get funds and another support the groups, organisations and NGOs have to work and prove that they can work as NGO and social organisation; after that they deserve for fund and other kind of support. What to register Trust, Society or Company? Do you want to know that what kind of NGO you have to register? Trust, Society or Company? Which registration is better? To know more just read about NGO and What kind of NGO you have to register at: What is NGO? 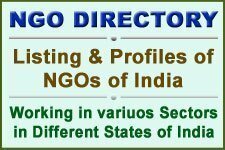 You can consult NGO Consultancy to know and register NGO.